On the right, select "Print name tag at check in"
Printing a parent copy allows you to give a parent one label and the child the other. Having the parent show the corresponding tag when picking up the child increases security. Check "Print Name Tag at Check In". Check "Print Tag for Parent". Navigate to the event's settings. Person-specific fields The remaining fields reflect the fields you are storing within Breeze. Most, but not all, of the fields are available for your use. Infants: Receive one name tag for the infant, one name tag for a diaper bag, and one parent pick up tag. Navigate to the Event Settings page for the event you wish to change. On the right, beneath "Name Tag", select "Show More Options"
1 Tag-Specific printing can only be done if eligibility is set to "Specific Tags". 2 Note that only the eligible tags (selected in step 2) will show up on this list. When creating customized name tags, you may notice that some text prints very small; this is due to the field size and "shrink-to-fit." When customizing a name tag, if you hover over the customization fields, you'll see that there are larger text fields on the left and smaller text fields on the right. To optimize name tag spacing, use the larger text areas for information that takes up more space, such as "Parents Cell Numbers". Use the smaller text areas for fields such as "Date" or "4 Digit Code." Can the settings be changed on the label? The font seems to be to large and all information is not being included on the label and is taking up more than one label. Is there a way to have the system assign the tag numbers on plastic tags we already have printed as the child is being checked in? Wondering if Breeze would consider supporting other name tag sizes available with the DYMO? The dimensions of the graphic for the logo on the name tags is 182 x 122. To optimize name tag spacing, use the larger text areas for information that takes up more space, such as "Parents Cell Numbers". Use the smaller text areas for fields such as "Date" or "4 Digit Code. "You can add allergies to the name tag by adding "allergies" as a custom profile field and then selecting that field from the drop-down in one of the custom name tag fields. Hey debraatlandmark - The name tag should automatically resize everything to fit into the space provided. See the area on Notes on Custom Name Tag Spacing to get an idea of the different sizing for the customizable areas of the name tags. Hey niyijr - The printer will only print on the Dymo label name tags, so you won't be able to print directly onto plastic name tags. You can print the tag name on the dymo paper labels, though. Hey administration - right now the only supported labels are the ones listed here: Supported Labels. This is so that we can be sure to include all the custom printing areas on the name tags and format it all to the correct sizing. Hey inezmartinezjr - You can create a custom profile field (Adding or Changing Profile Fields) with allergies where you'll add in all the allergies, and then you'll use the dropdown customize menu when customize the name tags to include that profile field. Also, it would be wonderful if we had an option at check in for which sessions parents/kiddos are attending. We have two sessions with small groups and worship for adults at both sessions. Some families come for one session and some come for two. If families arrive for the first and plan to stay for the second, that would be awesome to know! Hi Hoping you can help me with a few questions regarding labels. 1. I labeled the adults as head of households and spouses but their names are printing out as child names on the family tag. Is there a way to not get them to print on the family tag? 2. How do I print volunteer name tags to look different from a child tag. Right now everyone gets the same type tag as if they are all children and I want the volunteers names to stand out larger for the children and parents to read. 3. Is there a way to view what the badge looks like before it prints. We are wasting a lot of labels testing and the labels aren't cheap :(. 4. Is it possible to add a field that doesn't show up in the selection to the parent badge or the family badge? When parents pick up their children the volunteers have to ask them what class are they in so they know where to go and retrieve the child. If the Tag name or grade could be printed on the family badge somehow that would tell the volunteer which classroom to get the child from! Hi there, hope you can assist. Why does the parent tag have 2 identical sides? Are you supposed to cut the tag in half and give one to the parent and one to the child? Also, do you print both a Name Tag and a Parent Tag then, or just a Parent Tag? You can cut the tag in half for different purposes-to place on a bag-or give one to both parents or guardians. We print both a name tag and a parent tag. That way, the child has a tag with a three digit code and the parent has a tag with that same code. When they get picked up, the parent gives us the tag that matches the child tag. :) Hope this is helpful! How do I add an allergy that is not listed from the drop down menu? I have a child that is allergic to corn, and it's not an option under the allergy tab. It would be really helpful to have an "Other" option that we can type in less common allergies. Great question! One option is to create a different profile field (a simple "text" field) for allergies. This way you can input anything you want for an allergy instead of using a dropdown field. You could then use the Update People method to move all of the existing allergy information from the dropdown fields into the new profile text field! Feel free to call or email our Breezy Support Team if you run into any questions along the way and we'd love to help! Hi! I have one of the same questions as Alexis above. "How do I print volunteer name tags to look different from a child tag. Right now everyone gets the same type tag as if they are all children..." I don't want the Parent names to print on the volunteer tags. Second question, when we choose to add the Tag Name to the children or volunteers tag, I would like only certain tag names to show up. For example, if the Smith Family is in Community Group A (one tag), and the kids are in Children's Ministry rooms (more tags), and the parents both volunteer (more tags), I don't want multiple tags to show up on the printed stickers. The text will become too small, and the community group tag isn't relevant on Sunday mornings in their respective Children's ministry rooms and volunteering areas. A) While you can't customize name tags in one event based on what tag someone is in, you can control if they get a name tag at all, or a parent copy, etc. To alter this, click on your event and go to "edit event settings"
Under the check in section you'll see a "show more options" button under "name tag". Click on that. From there you can control who is going to get name tags, who will get a parent copy, and who will get a duplicate copy. You can create a new event for the volunteers to check in, or choose for them to not have name tags and either hand write name tags or use some sort of permanent name tag. B) We are actually working on a potential fix for this. We haven't figured out the best way to go about this because it gets very messy, but we do have this on the table for the developers to figure out some solution in regards to this. I've been trying to print the name tags using Brother QL-810W label printer and airprint. However, for our Children's ministry, there is not sufficient space to add all the information, such as allergies, parent contact info, and other pertinent information. Also, when I print the label out, it comes out extremely tiny and does not even print out all I added. Is there a way Breeze can change this so that the label print-out is more usable? Can people show with pictures of what the label looks like as well? Maybe, there should be Name Tags specifically for Children's ministry, especially the infants-Kinders because more information needs to be noted. The way to do this is making the label Vertical to allow as much information to be put on the name tag. Have the Picture or logo option at top, date, and Name.  The other customize tags is the choice of each church as they see fitting. However, doing the shrink to fit method is not ideal. Instead, make it clear that for each line you have a set number of characters or have them be able to be multiple lines that would push down the next category below. There is currently an issue also with the current system as to whether you utilize "text" boxes or "notes" as your customized tags and how it prints. When I use text boxes or notes, one of them does not full print properly. This should be clarified in the notes above. You bring up some great points in what you're trying to accomplish in Breeze with being able to customize name tags. The name tag should automatically resize everything to fit into the space provided. See the area on Notes on Custom Name Tag Spacing to get an idea of the different sizing for the customizable areas of the name tags. You are right, it would be helpful if we had a sample name tag. At this moment, I do not. However, I have reached out to the team, to see if we'd be able to provide this for you. We appreciate your feedback here about how we can improve--we’re always on the hunt for the next great idea to serve churches better! For more information about submitting a feature request, please check out www.breezechms.com/features. Is it currently possible to look up what number is assigned to a child after they check in? Great question. At this time, that is not a current feature, as that is the expected behavior. It is actually a security feature because the way the numbers are randomly assigned each time. There is no way to locate the number to prevent others from creating a duplicate tag to be able to pick up a child who is not theirs. Is it possible for the "NAME" to just be the First name or Nickname with no Last Name included? Also, how would I go about changing the main "NAME" field to just "First Name" and the smaller field below as the "Last Name"? Thanks for reaching out! I wish I had better news, but at this time, that is not a current feature within Breeze. The NAME field is a locked field. Locked fields are unable to be edited or deleted. This is because these are primary information fields that Breeze uses throughout the platform. While this may not be the ideal answer you were hoping for, I do hope it's helpful. We're always listening to what's important to you and all our churches who use Breeze, would you mind submitting this as a feature request on our feature request page? For more information about submitting a feature request, please check out www.breezechms.com/features. I have customized my name tags to list the tag assigned to the children, but unless I have my search mode set to certain tags, it will not print the tag name just "Child Top Right". If I select which tags to chose from my check in mode the tag names will print, but not every visitor has been assigned a tag yet, so I end up adding people I already have in the system. Is there a way to fix this? Thanks for reaching out! I will be reaching out via email as I believe I will be able to best serve you that way.